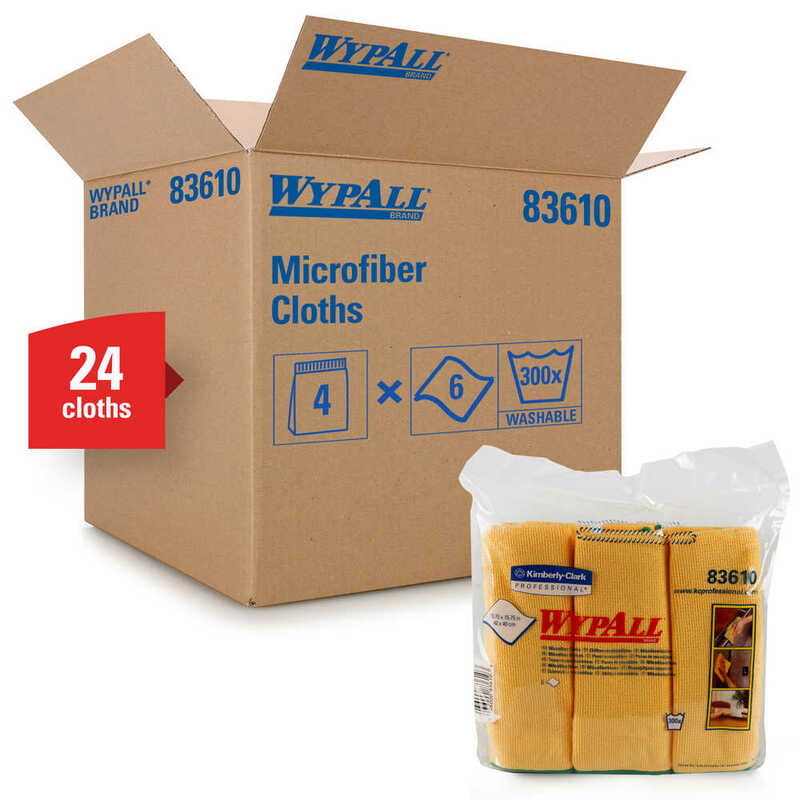 Clean up with Wypall Microfiber Cloths, the reusable cloths, designed for serious cleaners. 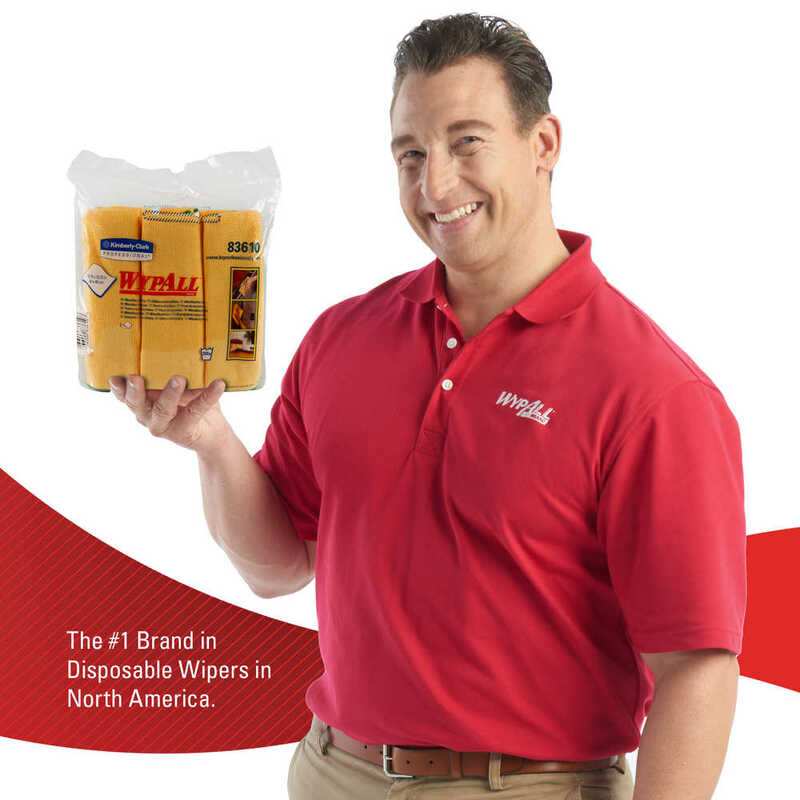 They are durable, remarkably absorbent and environmentally responsible. 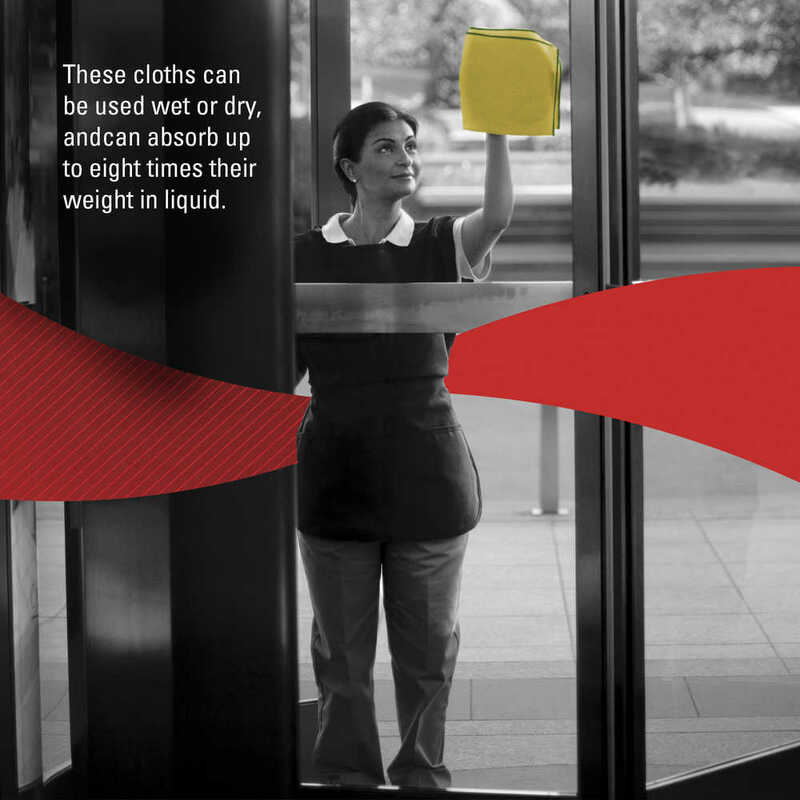 These thirsty cloths are an environmentally friendly green cleaning tool that can be used without chemicals. 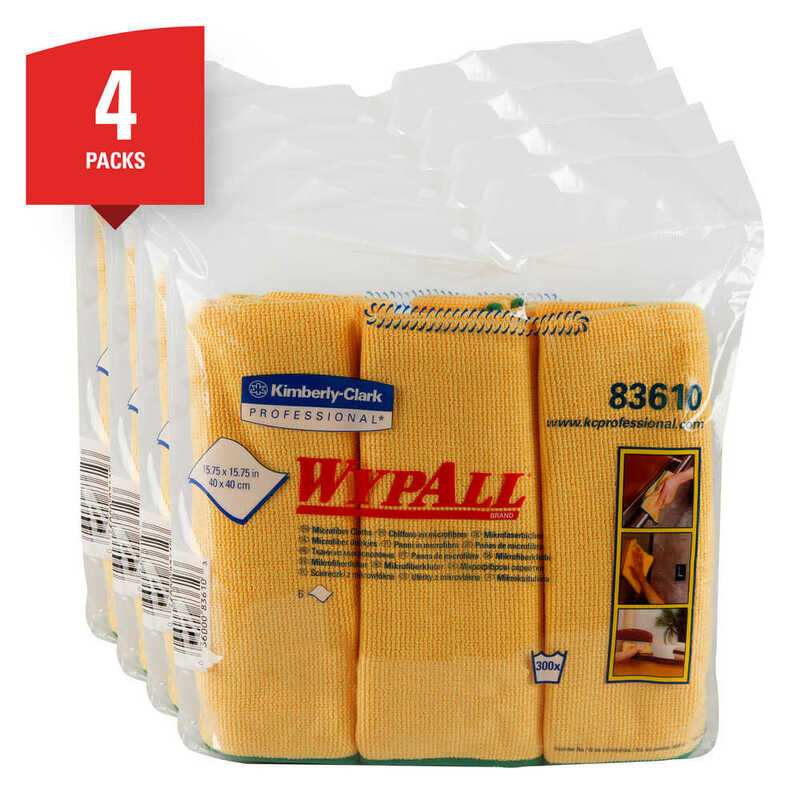 These cleaning cloths can be used wet or dry and can be laundered up to 300 times before needing replacement. 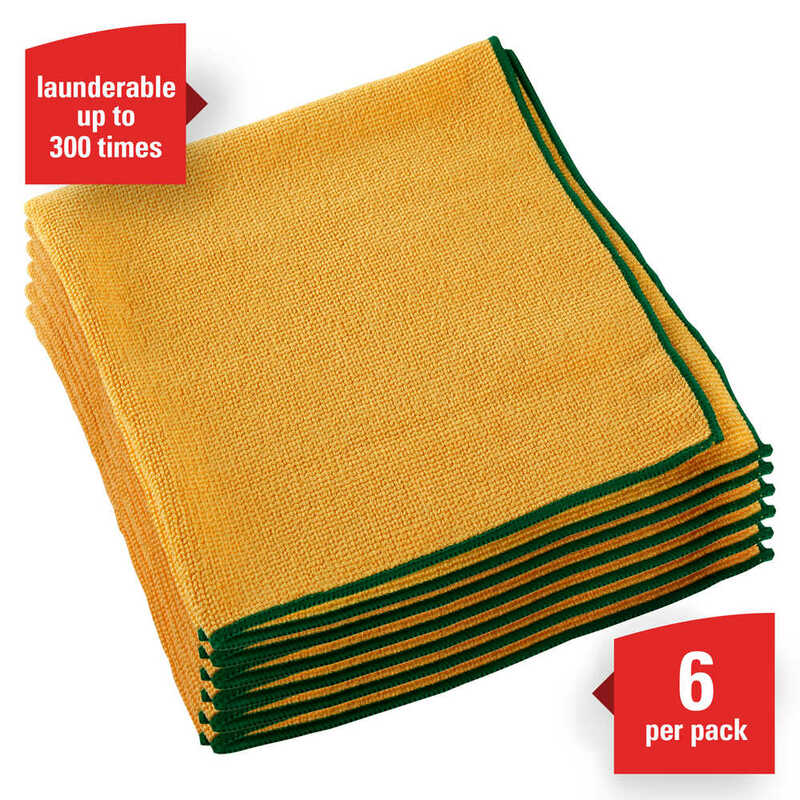 These microfiber cloths can absorb up to eight times their weight in liquid and are available in four colors (green, yellow, blue, red – this package is yellow), to help you avoid cross-contamination with a color-coded cleaning system. 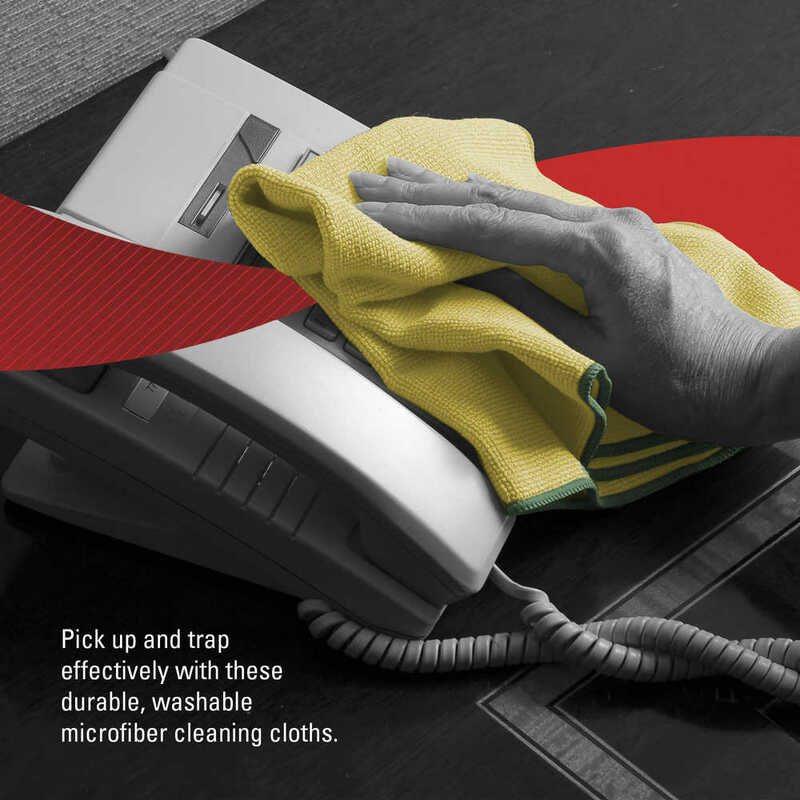 The microfiber cleaning cloths have a fibrous design that allows them to pick up and trap dirt effectively. They are designed for the cleaning professional – or those who like a professional clean.